Voluminous Original has long been the foundation mascara for L'Oréal Paris. It was their first big mascara and is still their number one selling mascara. Voluminous Original gives you 5X fuller lashes for bold volume and it is uniquely resistant to clumping, it softens lashes and builds lashes up to 5X their natural thickness. The unique maximizing formula quickly thickens and builds lashes in a single application for a full and dramatic look. The Volume Maximizing Brush thickens lashes evenly and smoothly, leaving them soft with virtually no flakes, smudges or clumps. Fragrance-free. Ophthalmologist-tested and allergy-tested. Suitable for sensitive eyes and contact lens wearers. This mascara comes in 5 shades with this new shade extension. Voluminous Original now comes in Burgundy, Black Brown, Black, Blackest Black and Cobalt Blue. I tried Burgundy in this test. It looks amazing with all of the gorgeous eyeshadow shades I try too. 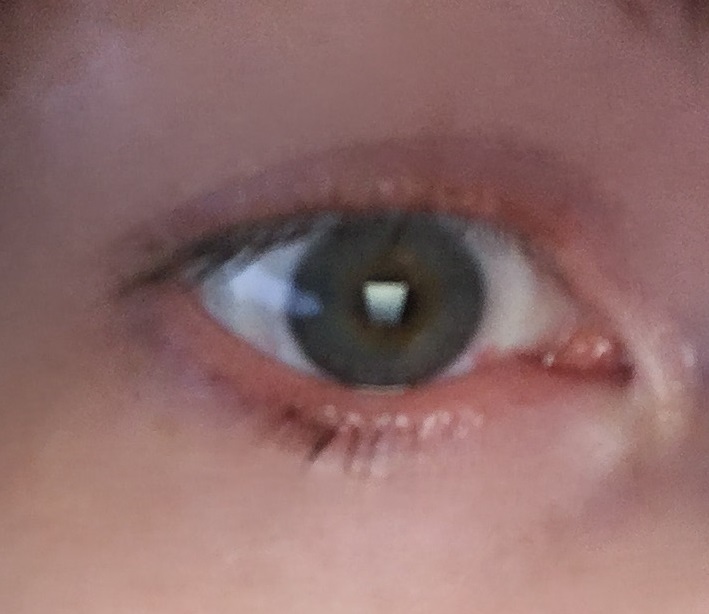 Add this to my blue green eyes and my eyes come out looking incredibly green. It really brings out the opposite on the color wheel (red and green are opposites on the color wheel and are complementary colors, which is why they look so good as Christmas colors). above: wearing Voluminous Original in Burgundy on both eyes. It is hard to see that I am wearing the burgundy color but you can tell because my eyes are greener. I have blue-green eyes and they turn green when I am wearing colors that complement them. I love this mascara. It really does a good job of bringing volume and even length to my otherwise puny lashes. Unfortunately I was not blessed with good lashes and they are practically invisible. I need good lashes. This mascara does a great job of adding definition, color, volume, length and depth to my eyes. L'Oréal Voluminous Mascara in Burgundy is available online at www.lorealparisusa.com, www.ulta.com and at mass market retailers such as Walgreeens, CVS, Rite-Aid, Target, Walmart and Ulta Beauty. Like L’Oréal Paris on Facebook: https://www.facebook.com/lorealparis; Follow L’Oréal Paris on Twitter: @LOrealParisUSA; Subscribe to their YouTube channel: http://www.youtube.com/user/lorealparisnyc and Follow L’Oréal Paris on Instagram: http://instagram.com/lorealparisusa.